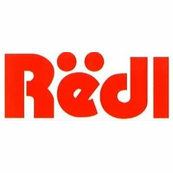 Redl is an outstanding Cabinet Manufacturing and Kitchen Design Company located in Saskatoon and Edmonton. The quality of workmanship, design ideas and individual personal touches sets Redl apart in the design industry. Customizing is a much misused word in the design industry these days, but Redl truly can and will meet your custom needs whether it is in the kitchen, the bathroom, your whole home or business office. I have viewed a number of their projects and it is readily apparent that detail is their trademark.